Thursday May 21st, 2015 was a big day for Ottawa’s business community. 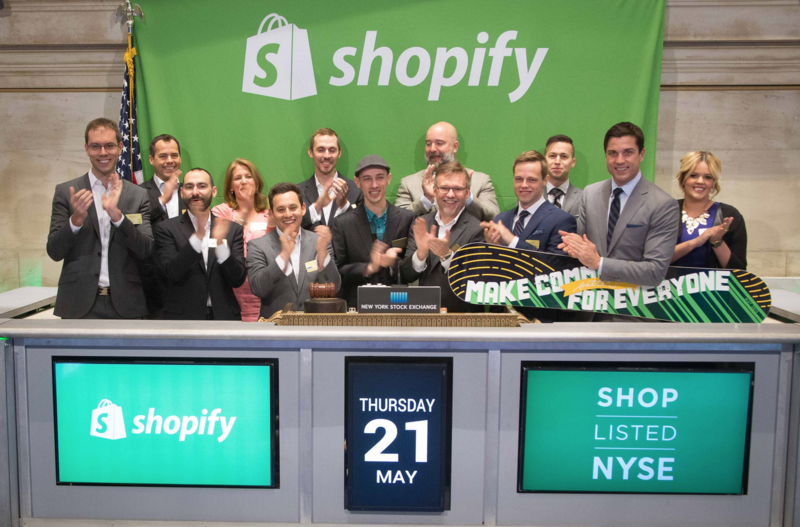 Shopify, Inc. rung the bell at the New York Stock Exchange, ushering them into the realm of being a publicly traded company – on both the NYSE and the TSX. This is a big deal on a few fronts. Considering a large part of Ottawa’s once-flourishing tech industry crashed, Ottawa has seen a resurgence of startups driven in large part by an expanding group of young entrepreneurs who are working at changing the web and how we interact with it. As per a recent piece on the CBC, Ottawa now boasts 1,700 technology firms, more than twice as many as Waterloo, Ont., according to Invest Ottawa. To boot, Invest Ottawa has also said initial public offerings over the past five years by other local companies — Halogen Software and Kinaxis — means Ottawa software companies have raised more cash than all other Canadian cities combined. In fact, on Thursday, Shopify successfully raised about $131,000,000 in new capital alone. For a company that only 10 years ago was a tiny 3 man team selling snowboard equipment, this is an amazing story. The beauty about Shopify’s product is that it’s helping other entrepreneurs and small businesses in a very direct way. Their e-commerce platform makes building and managing online stores simple and straightforward. Congratulations Shopify, along with all of Ottawa’s other rapidly growing startups for putting the nation’s capital back on the map! Questions? Comments? What do you think of Ottawa’s startup community? Share your thoughts! Looking for bookkeeping services for your small business? Contact us or request a consultation. This entry was posted in Entrepreneurship, Ottawa Bookkeeper, Ottawa Bookkeeping, Small Business Canada, Startups and tagged ottawa bookkeeper, ottawa bookkeeping service, ottawa small business accounting. Bookmark the permalink.